The IRS sends letters to notify taxpayers of a variety of different issues regarding their tax return. One of these notifications is known as a 4883C letter, which is sent by the IRS when it receives a taxpayer’s federal income tax return, but needs more information to verify the person’s identity. Providing the IRS with the information they require can be complicated, so if you received a notice, it is important to contact an experienced tax attorney who can advise you on your next steps. When the IRS suspects that a taxpayer may have been the victim of identity theft or it needs more information, it sends a 4883C letter. The letter does not mean that a taxpayer will be audited or that any information was missing from a return. Those who receive a 4883C letter can respond by calling the toll-free IRS identity verification phone number listed on the notice. This step is critical because the IRS does not indicate on the notice what information it needs and the only way to find out is to speak with an employee. Furthermore, a person who fails to contact the IRS within 30 days could face other penalties and significantly delay receiving their tax refund. Supporting documentation, such as the person’s W-2, 1099, Schedule C, or Schedule F forms. During the call, an IRS representative will ask questions verifying the person’s identity. This may require the caller to read specific information from his or her most recently filed tax return. A taxpayer may also be required to send in copies of any documents requested by the IRS to an address indicated on the letter. Those who have concerns about the legitimacy of their 4883C letter can also make an appointment at the nearest IRS office and speak with an employee in-person. If satisfied as to the person’s identity and convinced that he or she did in fact submit the tax return in question, the IRS will send the person’s refund within nine weeks. However, if the IRS does not provide you with sufficient information in the notice or does not send your refund within the indicated time, you may need to speak with an experienced tax lawyer who is familiar with working with the IRS and can provide guidance on what you should do next. Receiving any type of notice from the IRS can be intimidating and confusing, so if you were the recipient of a 4883C letter or another tax-related notice, please contact Ronald Cutler, P.A. 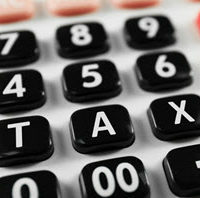 in Orlando to schedule a free one-on-one consultation with an experienced tax attorney by calling 386-490-9949 today.